The exact cause of fire at plastic factory is to be ascertained. No casualty has been reported so far. 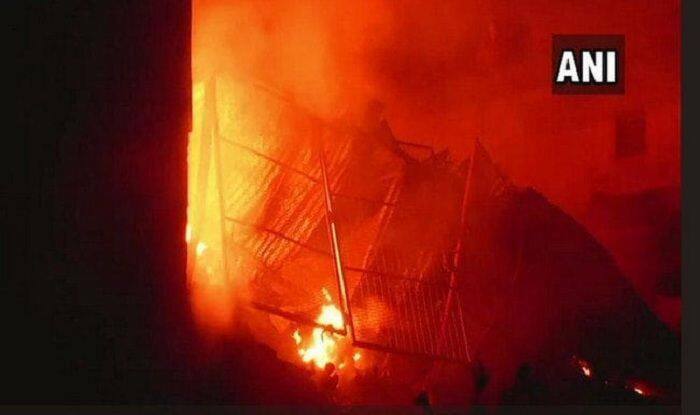 New Delhi: A massive fire broke out at a plastic factory in Delhi’s Narela Industrial Area, in the early hours of Sunday. At least 22 fire engines are present at the spot to douse the flame. The cause of the fire is yet to be ascertained. The incident comes a month after a major fire broke out at a building that houses several important government offices in central Delhi. A security personnel lost his life in that blaze. On February 12, a massive fire had engulfed Arpit Palace Hotel in Karol Bagh area, killing 17 people, including two people who jumped off the building in a desperate bid to save themselves. . Delhi CM Arvind Kejriwal announced an ex-gratia of Rs 5 lakh each to the kin of the deceased.